A clear glass clarinet ornament trimmed in 22k gold. Also available in black . Contact us for details! 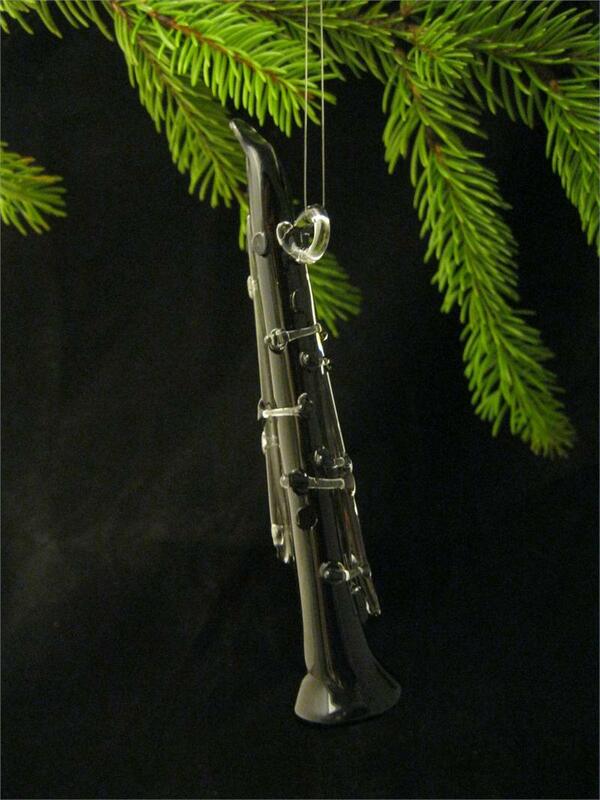 The perfect instrument ornament for anyone you know who plays the trombone!